Can’t get enough of the authentic Puerto Rican coquito? Why not spice it up a bit with this unique amazing twist of the traditional holiday drink! 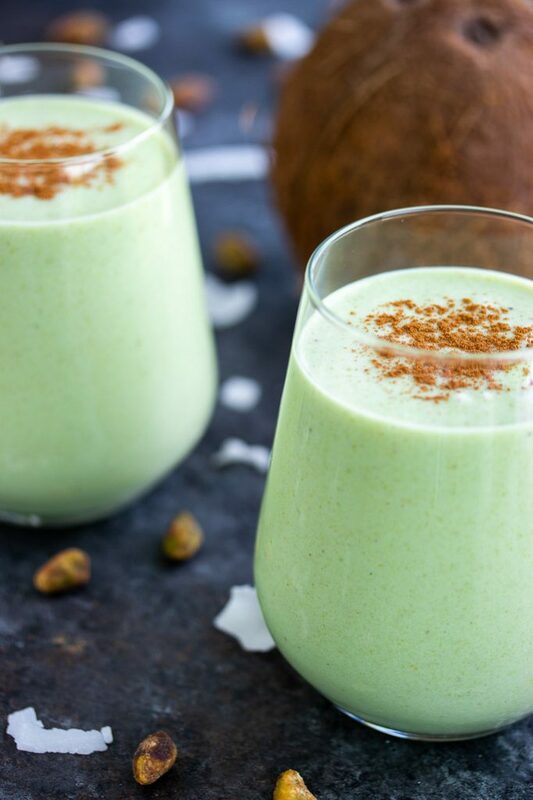 Pistachio makes the perfect combination with this delicious coconut nog! What Exactly is Pistachio Coquito? 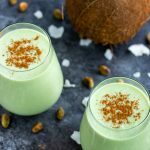 Pistachio coquito is just a flavor variation of the classic Christmas drink “Coquito”. We have a whole explanation of what is coquito and the traditional Puerto Rican coquito recipe if you would like to learn more. The blend of pistachio and coconut is AMAZING together. Moreover, pistachio is used as a base in many desserts like ice creams or even cakes! Yes, I too was unaware that this little cashew is very delicious as a sweet beverage or dessert. The first time I tried anything pistachio dessert related was Ben & Jerrys Pistachio Pistachio ice cream. I thought any type of peanuts or cashew was only considered a topping but never the main star of any dessert. But when I first took a bite out of the pistachio ice cream, I was hooked. 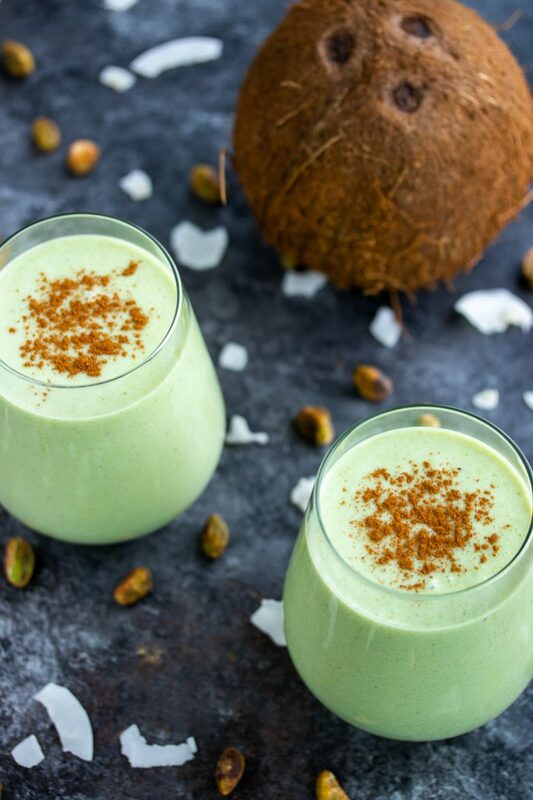 If you are a fan of pistachio, then this pistachio coquito recipe is perfect for you! Also, they’re much different flavored coquito recipes including chocolate and strawberry. 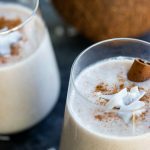 Any coquito flavor is perfect for large gatherings like Thanksgiving and Christmas! Here are the secrets of making this amazing authentic coquito drink. First of all, obviously we need the pistachio base. Some people use pistachio ice cream, therefore making a super sweet drink since our coquito ingredients use a can of sweetened condensed milk already. So, instead of using pistachio ice cream, we use pistachio paste. 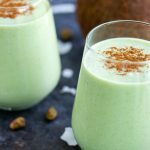 This makes the authentic pistachio coquito taste a lot more natural than a sugar bomb drink. Simply put, pistachio paste is made by blending the dry pistachios in a food processor. 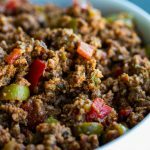 If you want to skip this step, here is an Amazon link to pistachio paste if you are unable to find it at your local store. However, all you need is a bag of no shell pistachios to make the paste. Most noteworthy, we have to remove that brown exterior of the pistachio if we want a nice green colored paste. Giving the little pistachios a blanching will help with removing the skin. To do this, heat water inside a medium saucepan to a rolling boil. Toss in the raw pistachios inside the water and wait about one to two minutes max. Immediately strain the pistachios and place into an ice bath. Next, easily remove the skin from the pistachios and place them inside a blender or food processor. Finally, blend until a paste consistency and place inside an airtight jar. We don’t use evaporated milk in our traditional coquito drink and chose to use another can of coconut milk. 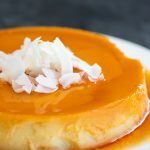 This promotes more of a coconut flavor and many people prefer it over the evaporated milk taste. Also, like our traditional Puerto Rican coquito recipe, we do not use eggs as it is a personal preference. This is a long debate of eggs being the deciding factor of “traditional coquito”. Over the years, Puerto Rican families have they’re own passed down preference on including eggs or not. However, our coquito recipes do not include the egg ingredient. Puerto Rican white rum is the set in stone ingredient and should never change. Some white rums to consider would be Don Q and Barcadi. We use 1 cup in our recipe but everyone has their own liquor amount preference. Use more or less after pouring your own coquito drink. 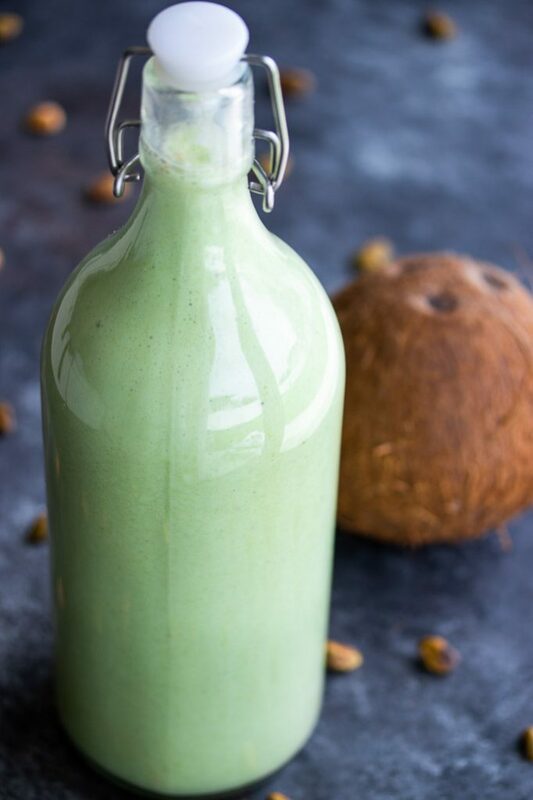 If you want to make your authentic pistachio coquito a little more green color, use a few drops of green food coloring while blending the ingredients. How Long Does Pistachio Coquito Last? Coquito can last for multiple months if you store it inside an airtight drink container. I find that storing it for multiple days before serving gives it a much better taste. The egg coquito version may not last as long – another reason why I do not like the egg version :). However, its always hard to save coquito since it runs out before we even get to store it! Can't get enough of the authentic Puerto Rican coquito? Why not spice it up a bit with this unique amazing twist of the traditional holiday drink! 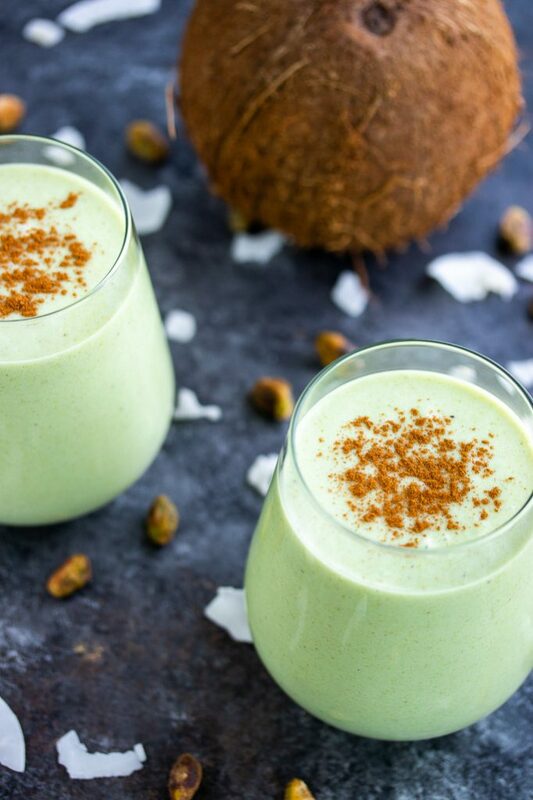 Pistachio makes the perfect combination with this delicious coconut nog! Start by mixing all ingredients into a blender. Blend ingredients until the mixture is well-combined. Strain coquito into an airtight bottle and place inside a refrigerator to chill for a minimum of one hour. Shake the bottle before serving. Serve chilled in a lowball glass. Garnish top with ground cinnamon. 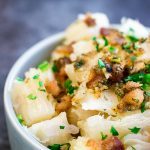 Get the latest delicious recipes and product coupons sent to your inbox!